There is no shortage of advice for reducing electricity use, but how do you know if your energy-saving practices are making a difference? Reading an electric meter practically takes an engineering degree, and your power bill is an imperfect and delayed measure of electric use. Power needs vary each month, and rates may also shift. The best alternatives are, somewhat ironically, new electric devices. Watt-hour meters and whole-house energy monitors draw some electricity, but they can save far more power than they use. The cheapest, easiest way to calculate your power consumption is with a plug-in electricity monitor, such as the basic $20 Kill A Watt. Electricity monitors are like outlets with digital displays. Plug the monitor into the wall, and plug a device into the monitor. 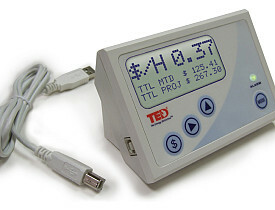 The monitor shows electric consumption in kilowatt-hours, just like your utility bill. You can use the figures to calculate the monthly or annual energy costs for each device or appliance. The wattage of a lamp with a 100-watt bulb is not a mystery. The Kill A Watt is more useful for computer stations and home entertainment systems. If a TV, DVD player, stereo receiver, digital video recorder and video gaming system are all plugged into a power strip, you can measure the total power load. Moreover, you can unplug each device and determine which devices draw significant amounts if power when they are switched off or on standby. Newer, pricier Kill A Watt models include a surge protector and can be pre-programmed to turn devices on and off as needed. Once you determine the power load on individual outlets, you can check and control the overall household consumption with the Energy Detective, using any mobile device. This $300 system is wired to your main circuit breaker and displays real-time energy usage to the second. For example, if you open the refrigerator door, the Energy Detective reading should jump 20 watts to account for the refrigerator light. A 2008 U.S. Department of Energy study found that knowing and tracking energy consumption dropped the average household's energy use by 10 percent. You will probably be more conscientious about turning off appliances and electronics if you see the wattage decrease every time you flip a switch. As they say, knowledge is power. In this case, power knowledge is power savings. Learn how much power your devices and your whole house regularly draw, and use that information to cut your power bills. For more information on saving energy at home, consult a professional electrician. Ugh, What Happened to the Compost? !